We’re all well aware by now that five days cannot go by without a Star Wars: Episode VII casting rumor or two, and that most of these announcements are meant to be taken with a margarita glass rim full of salt. So when the website Film Chronicles posts a story with “Benedict Cumberbatch is in Star Wars VII” as the headline, it seems like a high-profile shot in the dark. However, this isn’t a site that normally deals with flimsy conjecture. There may be something to this. 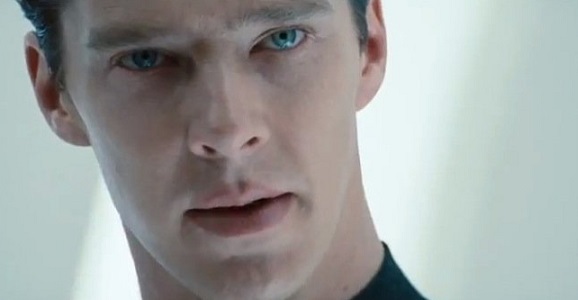 Benedict Cumberbatch may actually be in the next Star Wars! Unless, you know, he isn’t. A lot of noise has surfaced lately saying Lucasfilm will soon announce the first cast member for the upcoming Star Wars sequel, though it’s damned near impossible for anyone to get an official word on anything, as is typical with most J.J. Abrams projects. Getting Cumberbatch involved would be worth a huge announcement, unlike the other recent rumors about Alex Pettyfer and Rachel Hurd-Wood. If only Film Chronicles even hinted at the source for their news. Maybe a little midi-chlorian told them. 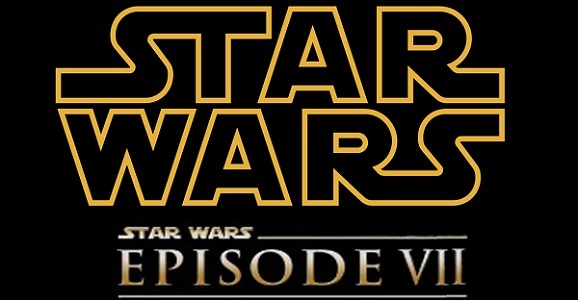 Star Wars: Episode VII may not come out until Christmas of 2015 (maybe), and we may not have any real news to report, but that is certainly not going to stop anyone from speculating about every last aspect of the film and production. Casting rumors have already been flying fast and furious, from reports that the stars of the original trilogy will reprise their iconic roles, to hints that Ewan McGregor will don his Obi-Wan Kenobi robes again and Emperor Palpatine could return as a force ghost. The latest scuttlebutt around the Internet water cooler is that Rachel Hurd-Wood and Alex Pettyfer are up for parts in the next trilogy. Latino-Review, who seems to be the leading authority on all things Episode VII, reports that Hurd-Wood, most known for her turns in 2003’s Peter Pan and 2009’s Solomon Kane, went in and read for a role. They take great pains to try to make you understand that this is just an audition, and, given the size and scale of this particular project, is probably the first of young actresses who will undergo a similar process. So don’t go proclaiming to all your little buddies that this is carved in stone fact, but it does give you an idea of style of actress Disney is looking at. The journey to the new Star Wars sequel trilogy starts in 2014. For many reasons, the biggest movie of 2015 is undoubtedly Star Wars: Episode VII. It’s the first Star Wars movie without George Lucas in the driver’s seat, it will be the first Star Wars movie in 10 years since the release of Revenge of the Sith in 2005, and it will be the first Star Wars film since Disney’s acquisition of Lucasfilm back in October 2012. As director J.J. Abrams gets pre-production underway, there are some questions about when Star Wars: Episode VII will begin principal photography. There were rumors that it could start as early as this month or as late as January 2014. Well, the latest rumblings suggest it could be the latter. According to Latino Review’s inside sources at Disney and Lucasfilm, the first day of production on “Foodles” (Star Wars: Episode VII‘s alleged code name) will be on Tuesday, January 21, 2014 at Pinewood Studios in London, England. Latino Review notes that production will start on a Tuesday rather than a Monday because of the Martin Luther King, Jr. Holiday falling on the 20th. It seems as if Star Wars: Episode VII is returning to its roots even without George Lucas. A few weeks ago at the Star Wars Celebration Europe in Germany, Lucasfilm President Kathleen Kennedy said that Episode VII would focus on story. She added that the seventh installment in the Star Wars saga would incorporate practical effects whenever possible, rather than relying on flashy CGI like the prequels. 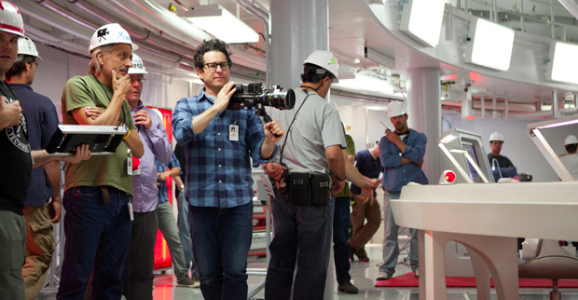 It appears director J.J. Abrams is fully on board with these notions, because the 47-year-old director will be shooting Star Wars: Episode VII on 35mm film stock rather than using digital cameras. According to Boba Fett Fan Club, cinematographer Dan Mindel has been announced as J.J. Abrams’ director of photography on Star Wars: Episode VII. The announcement came during an industry event in Los Angeles, and further revealed that Abrams and Mindel would use Kodak film stock 5219 to shoot the new Star Wars movie. Dan Mindel has worked with Abrams on the films Mission: Impossible III, Star Trek, and Star Trek Into Darkness. Mindel also had a long-time collaboration with the late Tony Scott on the films Crimson Tide, Enemy of the State, Spy Game, and Domino. His most recent work can be seen in the upcoming The Amazing Spider-Man 2 for director Marc Webb. It’s rare that a week passes here at GFR without at least one Star Wars: Episode VII rumor coming down the pike. And sure, rumors are always going to vastly outnumber confirmed facts at this early stage in the movie’s production, but it’s kind of fun to imagine the various different paths Episode VII might take. At least until those aforementioned facts arrive and start narrowing those paths down to only a few possibilities. 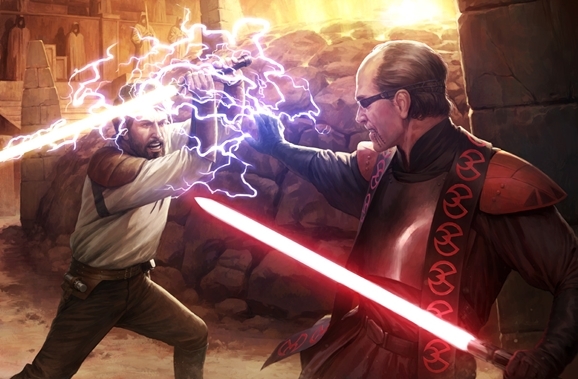 One thing we have maddeningly little information about at this point is whether the new Star Wars films will respect any of the Expanded Universe content as canon. If you’re a fan of both Star Wars and the EU content, this batch of artwork is almost certainly going to make you long for what Episode VII could be…even if that isn’t the path it follows. This gorgeous Star Wars artwork was created by artist Darren Tan for the Star Wars Essential Readers Companion. It features many of the EU characters many fans have come to know and love: Luke Skywalker as an elder Jedi Master, Grand Admiral Thrawn, Mara Jade, the Solo and Skywalker children. While Episode VII is said to involve older versions of Luke, Leia, and Han Solo, as well as their children, it seems unlikely that the new trilogy will directly adapt any of the EU content, so these images may be the closest we’ll come to seeing these characters and moments brought to life outside of the written word. According to Latino Review’s inside sources, actor Ewan McGregor is in talks to appear in Star Wars: Episode VII for director J.J. Abrams. 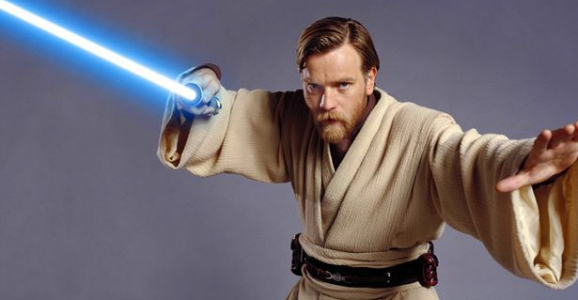 Kellvin Chavez from Latino Review continues to explain that Ewan McGregor would reprise his role as Jedi Master Obi-Wan Kenobi. Now I know what you’re thinking, “Didn’t Obi-Wan Kenobi die as an old man played by Sir Alec Guinness in A New Hope?” Alec Guinness came back to The Empire Strikes Back and Return of the Jedi as a Force ghost, and now it seems Ewan McGregor will also appear in Star Wars: Episode VII and the sequel trilogy as the same Midichlorian apparition.